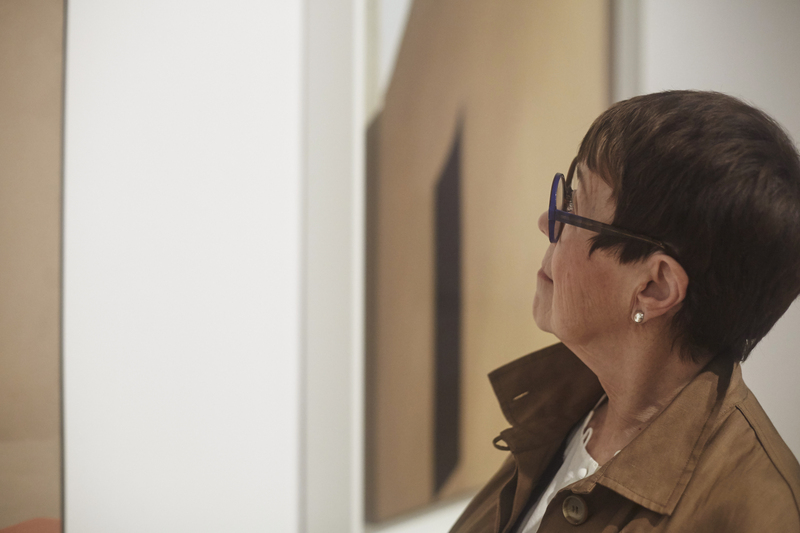 Art historian and curator Wanda Corn has spent her career thinking both about new questions to ask about art…and what answering them might teach us. A scholar of late nineteenth- and early twentieth-century American art and photography, Corn spent almost three decades teaching at Stanford while actively writing and guest curating shows around the country. 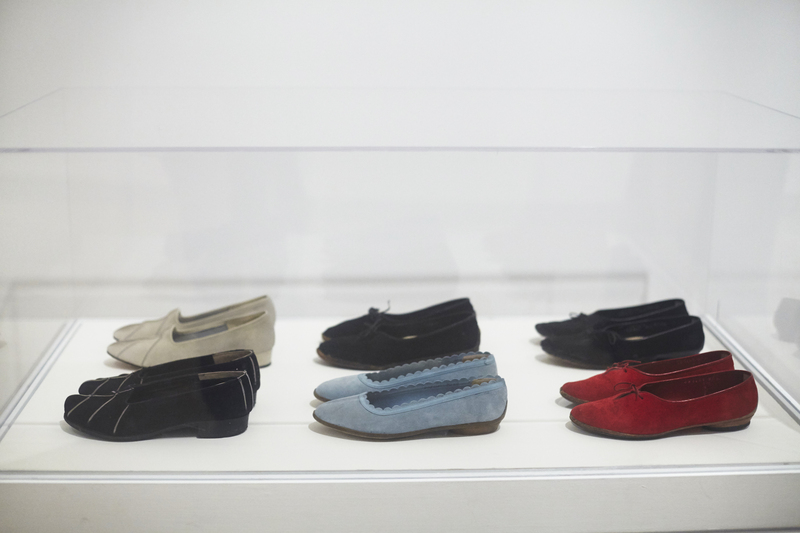 Most recently was “Georgia O’Keeffe: Living Modern,” an exhibition that examines how O’Keeffe “proclaimed her progressive, independent lifestyle through a self-crafted public persona, including her clothing and the way she posed for the camera.” The show is currently up at the Brooklyn Museum until July, after which it will travel to The Reynolda House Museum of American Art in Winston-Salem, NC and then The Peabody Essex Museum in Salem, MA. In her career, Corn has written and studied (among other artists) Mary Cassatt, Gertrude Stein, Andrew Wyeth, and Grant Wood — with each project, following her curiosity to unearth new ways of looking at art, its context and relevancy to a modern viewer, and working to communicate with, in her words, “the world beyond the desk.” Below, a conversation with Corn in the Brooklyn Museum gallery on the lessons that come from studying the lives of others. How does studying artists and photographers inspire or feed your own creative impulses? As an art historian, I try to ask new questions and search out convincing pieces of evidence to answer them. That is a creative endeavor but a very different one than that of an artist making visual images. My creativity is in reading forgotten or ignored tea leaves of history and conveying what I learn in the three-dimensionality of exhibitions and the two-dimensionality of texts (books and object labels). I love doing research of all sorts but am particularly known for studying what we call in the academy “material culture.” Material culture encompasses, among other things, the artifacts and built environments artists have left behind. In the case of Georgia O’Keeffe, I studied her clothes and her homes, revealing new stories about the artist. That’s where creativity comes in—making things like a dress or a chair reveal something new about our country’s art history. For me, distilling these findings into writing, the toughest act of all, is also creative. Writing is how you teach yourself, how you stay fresh, and continue to grow, and how you communicate to the world beyond the desk. I try hard to create new knowledge, to make it accessible in layman language, and not repeat what we already know. Where did the idea for this show begin? I have always been a student of O’Keeffe’s art ever since my introduction to it in 1970 when I saw her major museum retrospective at the Whitney Museum in New York. I have always taught O’Keeffe’s paintings in my history of modern art classes; for her generation she was a rare bird, a woman who worked hard and succeeded in having a productive, lifelong career. I also studied and wrote about her New Mexico bone paintings in a chapter of my book, The Great American Thing: Modern Art and National Identity. I was lucky enough to be able to interview O’Keeffe in 1980. I had a number of leftover observations that had not made it into that book, one of which was the important place of clothes and homemaking in some modern artist’s lives. 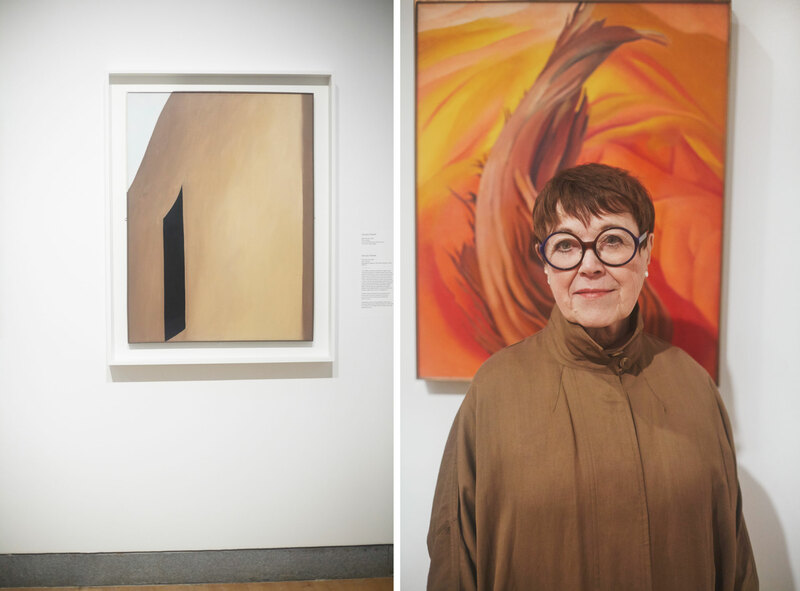 In the early 2000s I learned that O’Keeffe had left the closets in her two New Mexico homes filled with garments – and that some of her pieces could be dated back to the 1920s and 1930s. The Georgia O’Keeffe Museum in Santa Fe owned the homes and the clothes and was cataloguing them, but no one outside of the museum had yet seen or studied them. When I finally got a chance to look at the clothes, I knew that I wanted to write about them and put them on exhibition. But I was still teaching and had already committed myself to creating a complex exhibition on Gertrude Stein that came together in 2011-12. I included a few pieces of clothing in the Stein show and found that the audience was fascinated by the stories these garments could tell. As soon as the Stein exhibition was over, I began to work full-time on my book about O’Keeffe’s dress and develop the exhibition. It’s been a five year project. What are some of your favorite details about the way O’Keeffe dressed or put together her garments? 2. Her investment in layering; she would wear one of her black wrap dresses over a white one; or add a white collar and white cuffs to a black dress to make it appear as if she was wearing a white garment under a black one. 3. Her unbroken V necklines that optically set off and dramatized her long neck. 4. The tightened wrists of the sleeves in her wrap dresses that allowed her to move easily without the sleeves hiking up on her arms. She felt her thin wrists were unsightly. 5. She cleared her face of any intrusions; she did not wear any make-up and pulled her hair back away so that her hairline was clean and tight. She often wrapped her head in a scarf or wore tight cloche-like hats to get the same effect. What are the connections between changes in her life and changes in her personae? 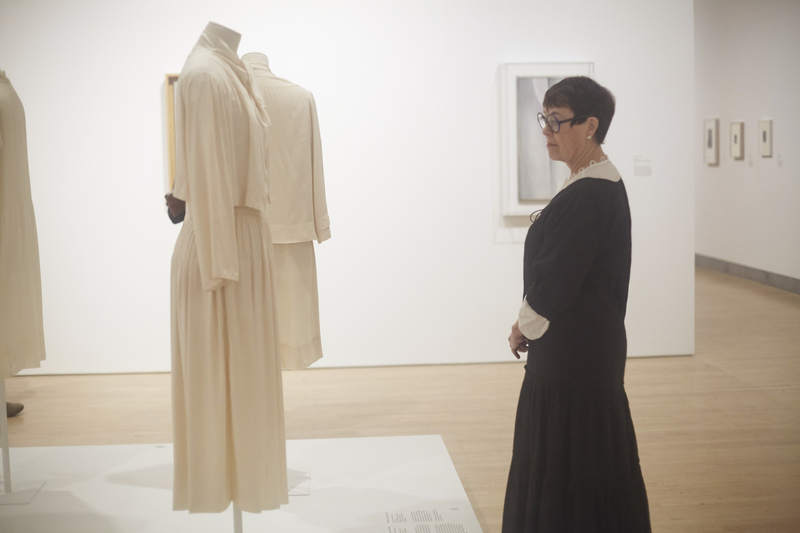 O’Keeffe modified her wardrobe as she moved from place to place and as fashion changed. For example, when moving from New York to New Mexico, she shifted from an urban New York wardrobe, mostly black, to a more casual style in keeping with living in the high desert. First she adopted denim and eventually, after World War II, she added more color to her wardrobe and bought clothes designed by Claire McCardell and Marimekko. But she always applied a consistent aesthetic of simplicity and minimalism to her dress no matter where she was. She was a “less is more” modernist and went for strong silhouettes with little to no ornamentation in her dress. 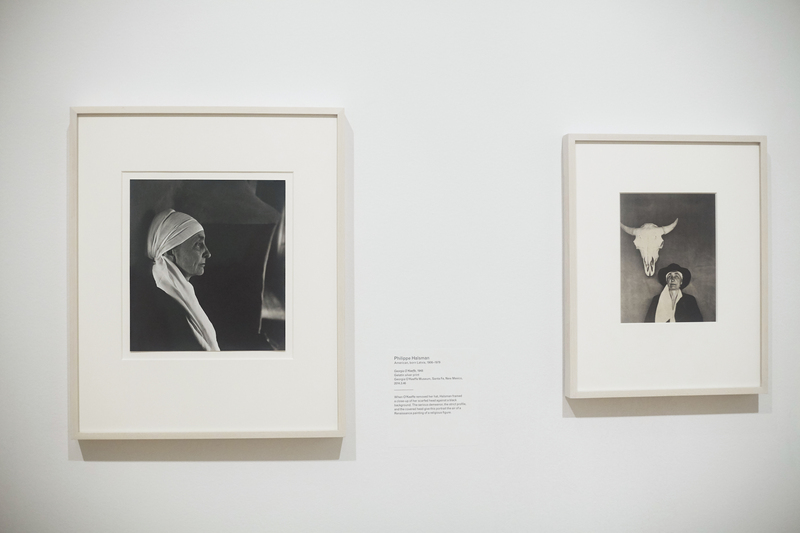 What has been more influential: O’Keeffe’s art or her persona? The two worked in tandem to create her celebrity. Because she was photographed at the start of her career for twenty years by Alfred Stieglitz, she became known publicly for her looks as well as her art. And when Stieglitz died, other photographers stepped up to continue the tradition of photographing her as a serious woman of beauty and gravitas. Has studying O’Keeffe influenced the way you live your own life? I think if I was younger, then yes it might have; at this point I am too formed as a person and my closets are too full for her to be a role model. 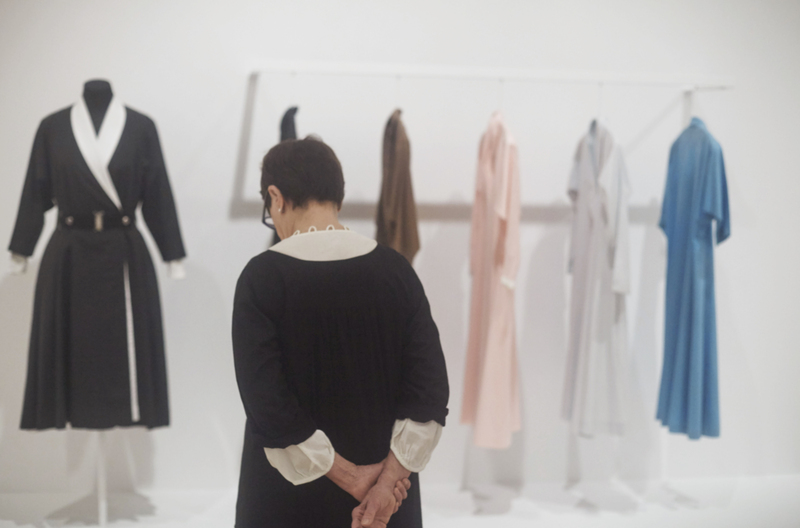 I do admire, however, her lifelong discipline in choosing what to wear and walking away from styles or fashions that did not conform to her strict tastes. Those standards included comfort and ease of movement and easy off and on. I’ve learned from her that if you have confidence in your personal style you walk away from everything else. Most of us develop our personal style by trial and error. For O’Keeffe, however, she knew as a child how she wanted to dress. Her dress style seems embedded in her DNA. What women have served as role models or cultural inspirations for you? When I was asked that question for the first time in the 1970s, I gave it a lot of thought and came up with Nancy Drew as my childhood role model. I read every Nancy Drew mystery I could lay my hands on and admired the fictional young woman’s fearlessness, independence of mind, and cleverness in solving problems and getting herself out of life-threatening messes. Today I am inspired by women closer to me in age who have worked incredibly hard, as I have, to achieve their recognized excellence without losing their empathy and ties with family and humanity. Renée Fleming is an example, a woman who has been called the “people’s diva.” Or Meryl Streep, Cindy Sherman, Drew Faust, Toni Morrison, Ruth Ginzberg, Sonia Sotomayor, and Hillary Clinton. I’m writing a book about Grant Wood’s painting "American Gothic." This painting was made by an unknown Iowan artist in 1930 and immediately caught the attention of art critics. The artist and the painting went on to have an amazing career. American Gothic was first lauded as a work of art but in the late 1960’s, the image moved out of the museum into popular and commercial culture. I want to look closely at the strange and wonderful odyssey of an image that has captured the American imagination like none other. Even the mysterious Mona Lisa has not been appropriated so cleverly and thoroughly as has the country couple in American Gothic. Maybe an exhibition will emerge from this wonderful material. What have been some favorite recent exhibitions you’ve seen? At the National Gallery of Art in Washington D.C., I was knocked out this fall by a retrospective exhibition of the great modernist painter Stuart Davis and an eye-opening exploration of Virginia Dwan’s patronage of contemporary minimalist and earthwork artists. 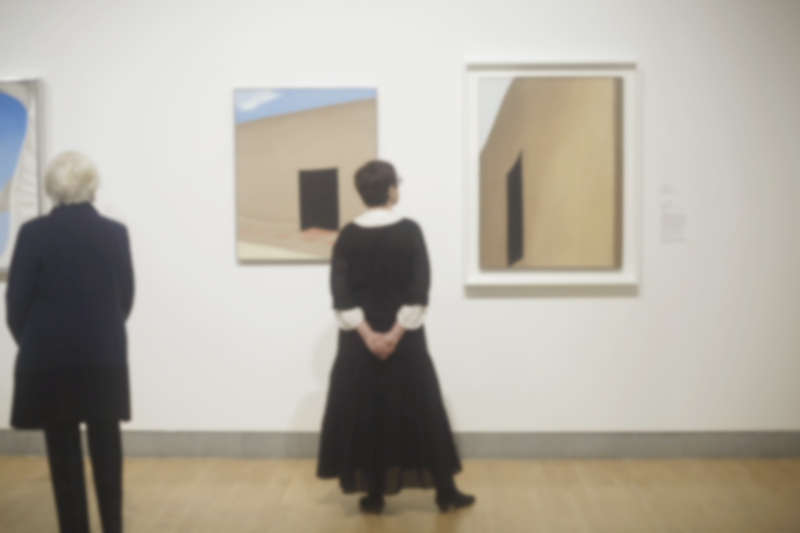 In New York recently, my favorites included the very thoughtful installation of the work of Pierre Chareau at the Jewish Museum and the Marsden Hartley in Maine exhibition at the Met Breuer. I am always stimulated by what my eyes can see and my mind learns in art museums. I’m glad I learned that about myself early on so that I could enjoy a long life of looking.